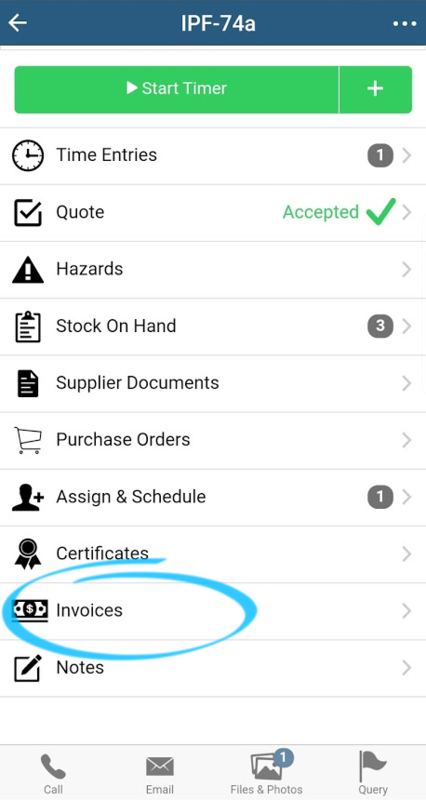 Mobile invoicing makes it easy to collect payments onsite at the time of job completion. 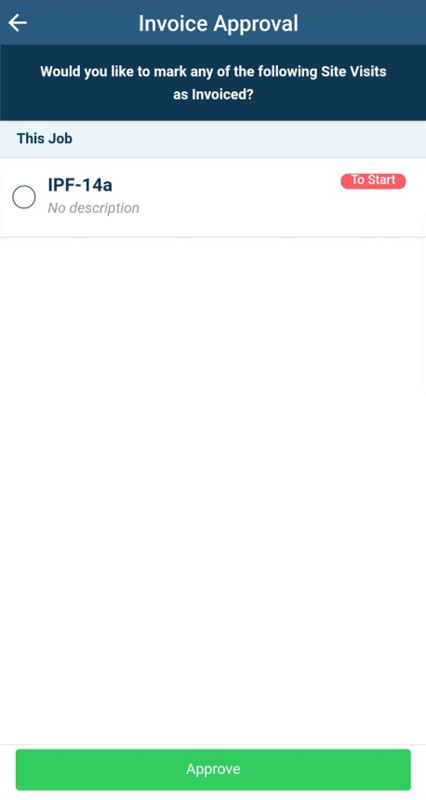 Make sure you've updated your app to use this feature (see this article for help). 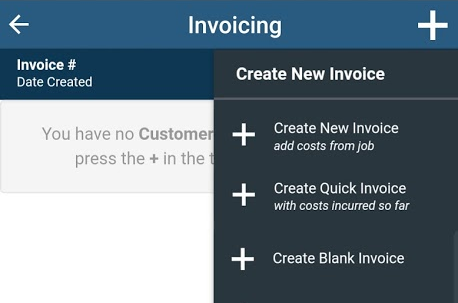 Create New Invoice creates a blank invoice and shows you the Import screen which lets you choose which costs to invoice out. 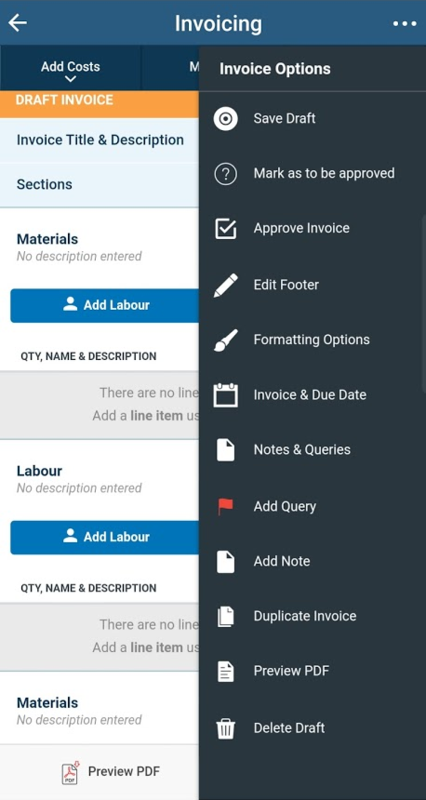 Create Quick Invoice imports all costs across your job's site visits onto the invoice. 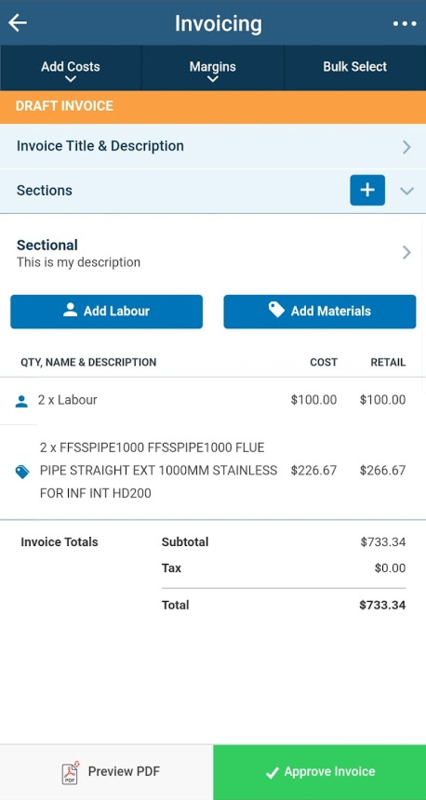 In this example we'll tick Site Visit A IPF-74a to invoice out, and then tap Import. Ticking a site visit brings all materials and labour entered against that site visit onto your invoice. You'll see the site visits on this job and be asked to choose which to mark as invoiced. 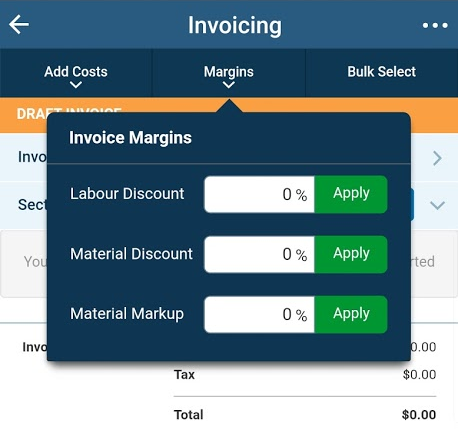 If you imported your site visits onto the invoice they will be ticked automatically. If your job is finished make sure these are ticked as this will update the job's status in Fergus. Mark Job As Complete if you know the job is 100% finished and your customer is happy! Add New Site Visit if the job hasn't been fully complete just yet and you need to return. 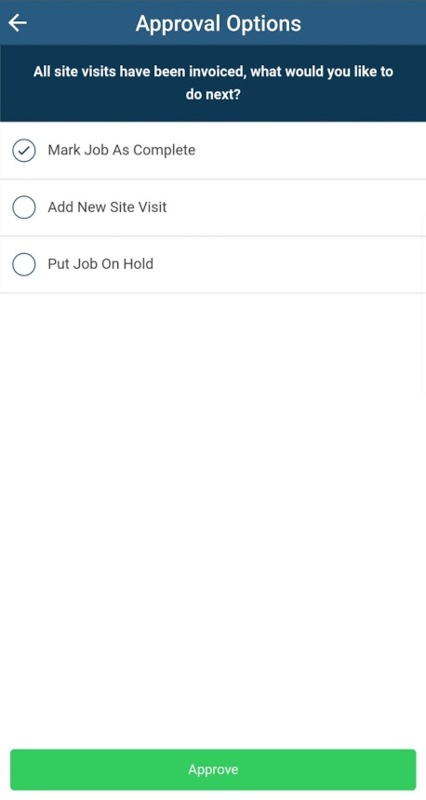 Put Job On Hold to send the job to the Pending column of the status board if you're planning to come back to it later. To setup Fergus Pay check out this article. You may like to update your Terms of Trade to include a statement around paying jobs the day they're done. You can update your Terms of Trade here. That’s it on mobile invoicing for now. Keep up to date with all Fergus product updates here. 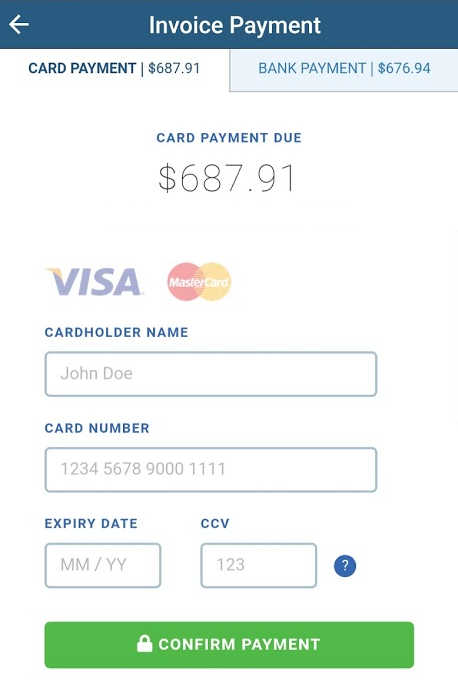 If you want to format the invoice and pick what appears on the final version, read on. 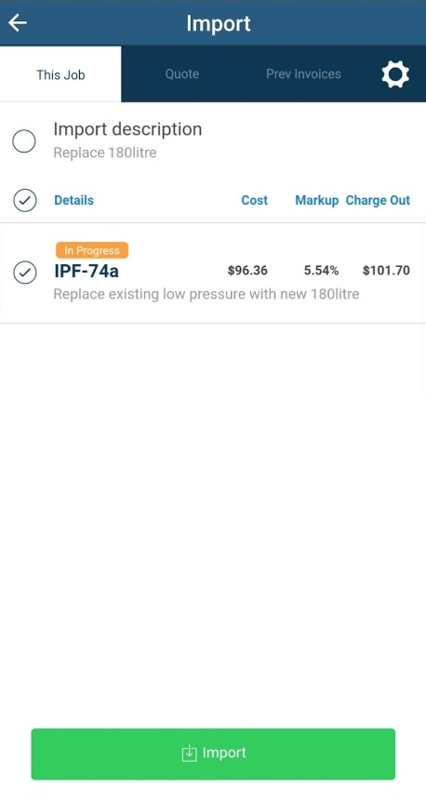 You can adjust markups and apply discounts, and choose what is visible to the customer.